Container shipping has been used in international logistics for several decades now. You can see big barges loaded with LEGO-like stacks of metal containers in nearly every port in the world. The size of such container ships is incredible: from 900’ to 1300’ long with the capacity equivalent up to 19,000 20-foot containers. How does container car shipping work? Unlike RoRo shipping where the car is simply rolled up the ramp onto a cargo vessel, container shipping involves special loading procedure. As soon as the vehicle is delivered at the port terminal or a special warehouse it is driven into a container and carefully positioned inside. After that all four wheels are safely braced and lashed to the corners of the container with soft straps. If it is not a 4-wheeled car, the vehicle can also be lashed with front and rear towing eyelets. A motorcycle will have to be crated and a boat should be secured in a cradle before being loaded inside a container. 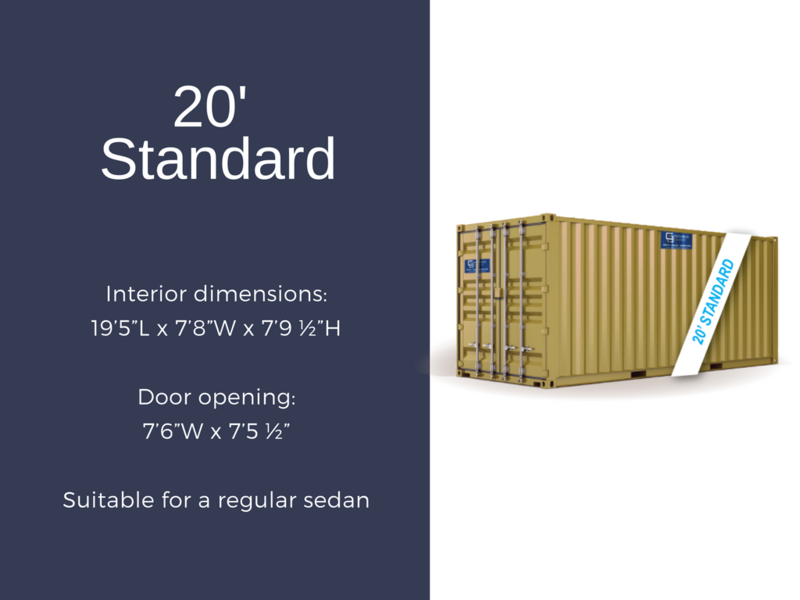 Your vehicle will be fully protected from external hazards while any undesirable movements inside the container will be eliminated as well. 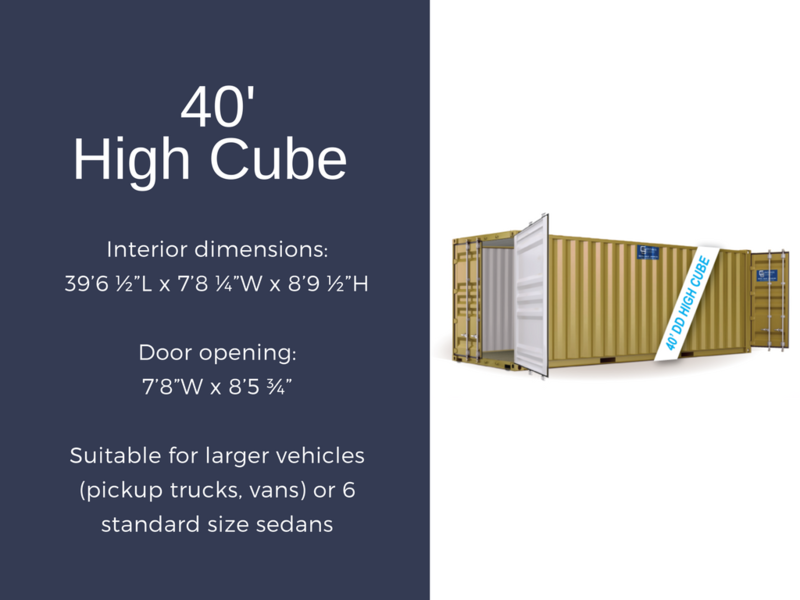 There are various consolidation options when you use container shipping or if you are relocating a luxurious vehicle you can also rent a whole 20’ container for your vehicle only. What types of vehicles can I ship? As you can see from the table above, the capacity of containers allows shipping all kinds of sedans, SUVs, motorcycles, pickup trucks, RVs etc. However, there are certain limits to shipping such oversized vehicles as farm machinery, excavators etc. that exceed the given dimensions. If you are looking for a cheaper and easier option to ship your family car or a car you drive to work every day, you might as well consider RoRo transportation service. But if you are relocating a high-end, brand-new, luxurious, exotic or vintage car where even the slightest possibility of getting a micro scratch can turn into a disaster, it’s better to choose container shipping for extra safety of your vehicle. Inoperable vehicles can also be shipped via container as long as they roll, steer and have working brakes. If the vehicle you are looking to ship abroad is located far from any of the above mentioned cities, you can hire automobile shipping service to transport your vehicle from your front door to one of the ports or the other way around. Extra safety. Vehicles are safely blocked, braced and lashed inside the container, protecting the vehicle from the movements that occur during the transportation as well as from the elements and ocean hazards. Ability to ship goods along. 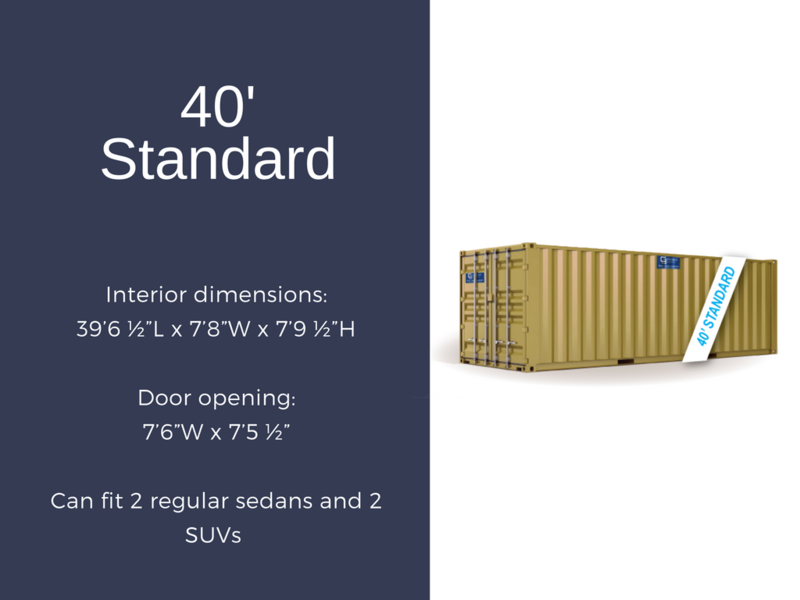 Since the vehicle doesn’t take up the entire container capacity, it is possible to ship parts, accessories or household goods along with your vehicle. Worldwide availability. Unlike RoRo service, which may not be available in smaller countries, container shipping covers all possible routes and countries on the globe. If container shipping sounds like an option for you, please, contact us to receive a customized quote for your particular transportation.